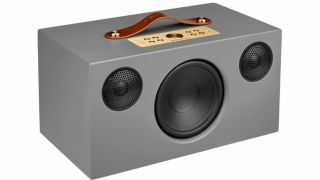 These are the 5 best Cyber Monday Bluetooth speaker deals | What Hi-Fi? Bluetooth speaker deals are ten a penny in the Black Friday and Cyber Monday sales, so where do you start? Budget will most likely play a factor, as will specs. After all, not all Bluetooth speakers are equal - some are portable, some have wi-fi streaming and/or voice control. Some are under £50, others cost the price of a 4K TV. The good news: every kind is represented in the Cyber Monday sales. The bad news: it's not easy hunting down the absolute best speakers and bargains. To save you the job (you can thank us later), we've scoured the sites and highlighted a handful of the very best Black Friday wireless speaker deals to be had right now. Not in your budget or don't meet your specification? We're sure something in our overall best wireless speaker deals page will be.